Want to get more for your money when you put your home on the market? You might think installing a pool or other big-ticket item is the way, but in reality, there are actually much more affordable, high-impact upgrades you can make instead. Are you thinking of selling your Schertz, Cibolo, Garden Ridge or other area property? Consider making some of these powerful upgrades first, and you could get much more than you bargained for! Landscaping – Investing in landscaping delivers two-fold: first by increasing your curb appeal (and the number of buyers interested in your home) and second by actually upping the property’s value, too. Consider planting flowers, trimming your trees, re-sodding your yard and going the extra mile toward beautifying your yards. Yes, even the back yard matters! Additional space or storage – Buyers are always looking for more space – space to live, space to store things and space to grow into. If you have places you can add space, by all means do so. Take out a useless wall between the dining and living room areas, and open the home up. Add storage areas to your kitchen island or install new cabinetry or shelves in the bathroom. Make your home look bigger and roomier anywhere you can. You could even turn your attic into an extra bedroom and really up the ante. New appliances – Most buyers won’t want to move with their old appliances, so they’ll be looking long and hard at the ones you have on site. Old, outdated or poorly maintained appliances won’t help you make a sale; in fact, they’ll probably hurt your chances! Consider investing in some new or upgraded units, like a new stainless steel fridge or dishwasher. If you can’t afford all news ones, just replace the door fronts, shelving and other parts, and give each one a little facelift before buyer come knocking. Beautiful bathrooms – We spend a lot of time in the bathroom, so make sure it’s a place buyers won’t find an eyesore. Replace old or mildewed tubs and shower heads, install a new toilet seat, or replace your old sink with a newer pedestal model, and add both space and style to the room. New countertops, light fixtures and mirrors can go a long way, too. Lighting – Lighting can do wonders for opening up a room and making it look brighter, happier and more welcoming. Consider adding windows or skylights in dark areas of your home, and upgrade light fixtures with beautiful sconces, chandeliers or hanging pendant lamps to add a focal point to your kitchen, living room or dining area. Doorways – Buyers want to know your home is safe and secure, so invest in a solid door, as well as a hardy lock and handle set. Make sure you choose hardware that not only wards off break-ins and enhances security, but one that improves your curb appeal, too. Remember, that door is one of the first things a potential buyer will see when visiting your property! Clean floors – Have old, worn down carpet? Invest in a professional carpet cleaning service to give those floors a facelift. If you have wood floors, give them a good shine and tend to any scuffs or scrapes it may have suffered over the years. If you have a little more cash to spend, you can even consider upgrading your flooring altogether. Ceramic tile and hardwood floors are a big draw for buyers nowadays, as they’re easier to care for and hardier than carpet flooring tends to be. HVAC system – Here in Texas, there are few household components as important as the HVAC system. Without a top-notch, high-quality HVAC system, those sweltering summers (which often start in March and don’t end until November!) can be pretty unbearable. 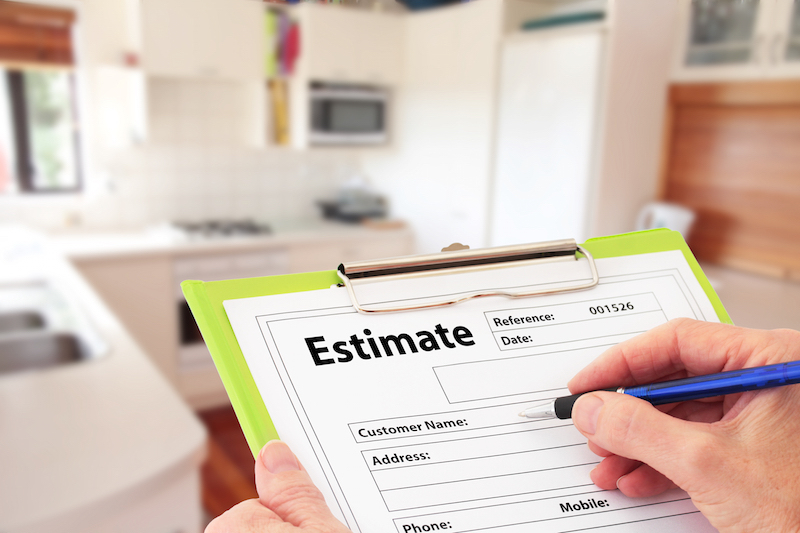 If you really want to up the value on your home, spend a little cash on maintaining, repairing or replacing your existing HVAC system – whatever your technician suggests is best. It will more than pay off in the end! While the right upgrades can do wonders for helping sell your home (and at a great price), your real estate agent plays a big role in that, too. Do you want to ensure your Schertz, Cibolo, Garden Ridge or other San Antonio area home sells fast and at a top price? Then contact the experienced agents at The Claus Team today. We’re here to help in any way we can!